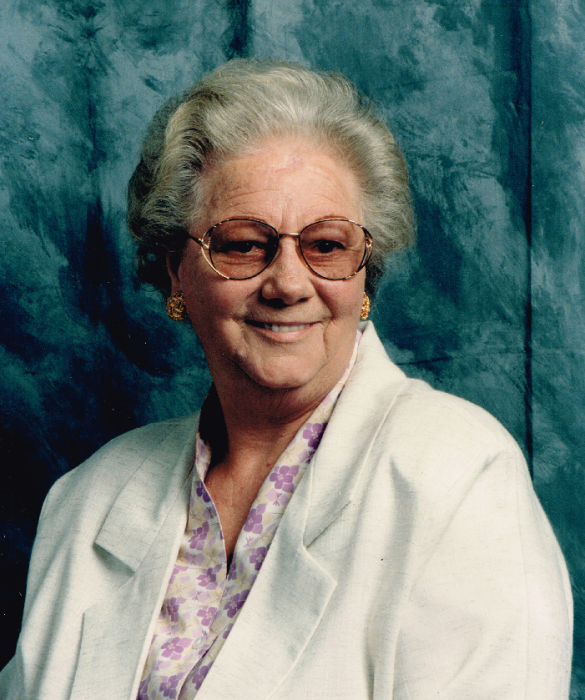 Twyla “Darlene” Miller, 84, of Lyons, passed away January 31, 2019 at Presbyterian Manor, Sterling. She was born January 24, 1935 in Joplin, Missouri, the daughter of Walter Alvie and Gladys Lorein Moser Shropshire. Darlene has resides in Lyons since 1994. She was a meat wrapper for Hatfield’s Meats in Joplin, Missouri. Darlene was a member of Saginaw Baptist Church, Saginaw, Missouri. In June of 1954, Darlene was united in marriage with Herbert E. Miller in Hutchinson, Kansas. He preceded in death in April of 1993. She is also preceded in death by her parents; brother, Bill Donaldson, and sister, Pat Douglas. She is survived by her sisters, Joyce Cronkright of Ukiah, CA, Judy Mayes and husband Eugene of Lyons, and Carolyn Fortner and husband Leon of Grants Pass, OR; special friend, Ron Wilson of Sterling, KS; and numerous nieces and nephews. Funeral service will be 11:00 A.M., Wednesday, February 6, 2019 at Birzer Funeral Home, Lyons with Pastor Joel Grizzle officiating. Burial will be at Lyons Municipal Cemetery. Visitation will be from 10:00 to 11:00 A.M., Wednesday, February 6, 2019 at Birzer Funeral Home, Lyons. Memorials may be given to Friends of Animals Rice County in care of Birzer Funeral Home, Lyons.